Our last day in St. Petersburg we spent partly in Peterhof, a neighborhood outside the center where Peter the Great had his summer residence. 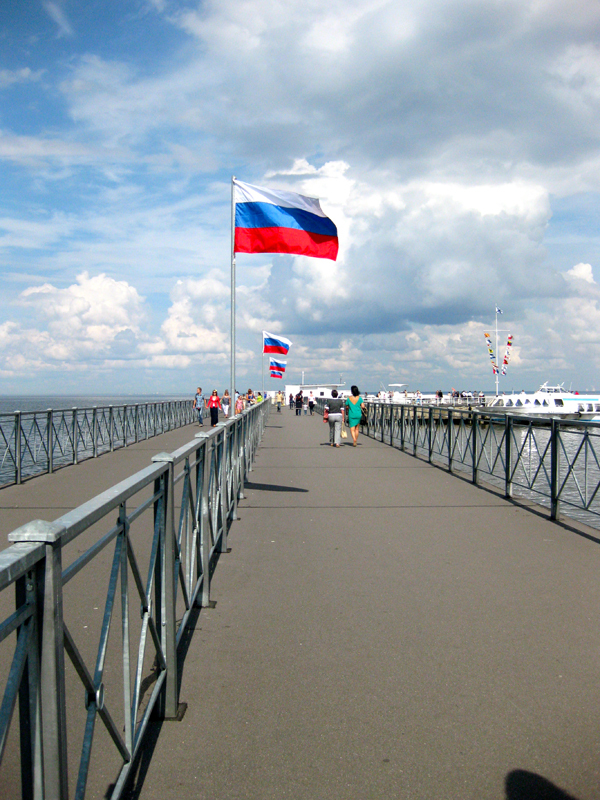 Peterhof was very easily accessible by public transportation. Don't go there too early in the morning regarding to the traffic jams. Another possibility is to go with the boat. We chose the first option for the outward journey. First we went by metro to the Avtovo station. The busses there leave directly to the palace of Peterhof. You just need to cross the road and you'll see those busses waiting. This journey takes no longer than a half an hour. The weather is beautiful, sunny and Peterhof is extremely crowded. The land is large enough for all visitors, but the most gather in front of the golden fountains, the most famous piece of the summer residence. A bit further away is a funny fountain where children are well entertained. This one is very spontaneous and irregular or actually it is controlled by someone behind. It may seem a bit lame maybe, but such technique was very special and innovative in the time of Peter. 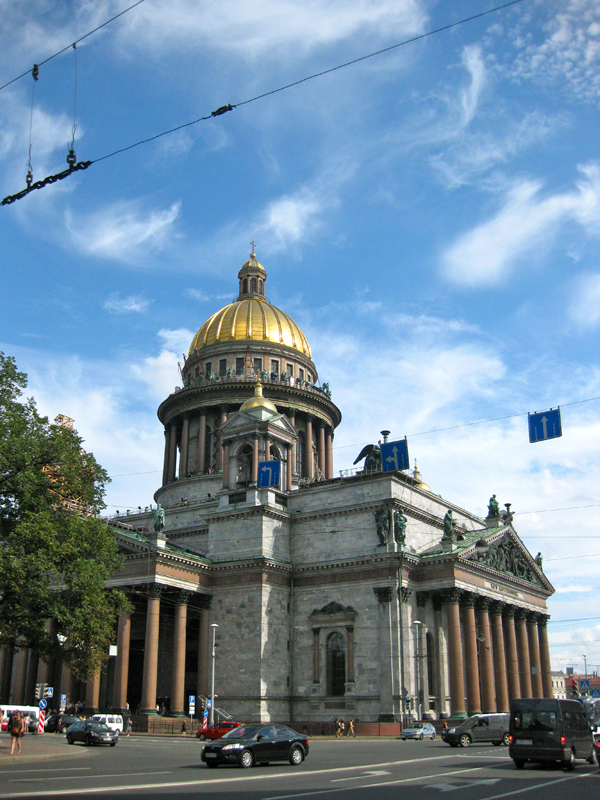 On our way back we take the boat which brings us directly to the Saint Isaac's Cathedral. We eat some and rest a bit for our next destination. Half Russia of maybe rather former Soviet Union appreciates the rock legend Viktor Tsoi. Even after 21 years since his fatal car accident he remains relevant and is loved by young and old. Which is reflected in it's well-kept grave. Young people come there daily to play his songs and to hang out of respect for his short but groundbreaking music career. 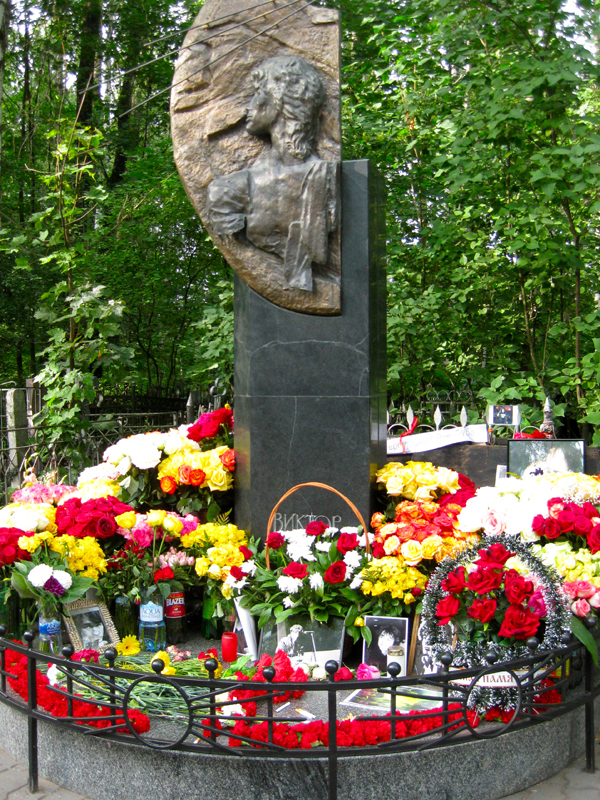 I consider myself as a fan and found this grave as important as any other sights of St. Petersburg. The cemetery is not very easy to find, but with the guidance of a local friend it all went a lot faster. We got off at the metro Ploschad Muzhestva and from there we walked about 20 minutes. By this route we walked thorough the back straight to the grave of Victor Tsoi. On our way back we took the bus at the entrance at the cemetery which took us to the center. The rest of the evening we spend eating and drinkeng with friends. 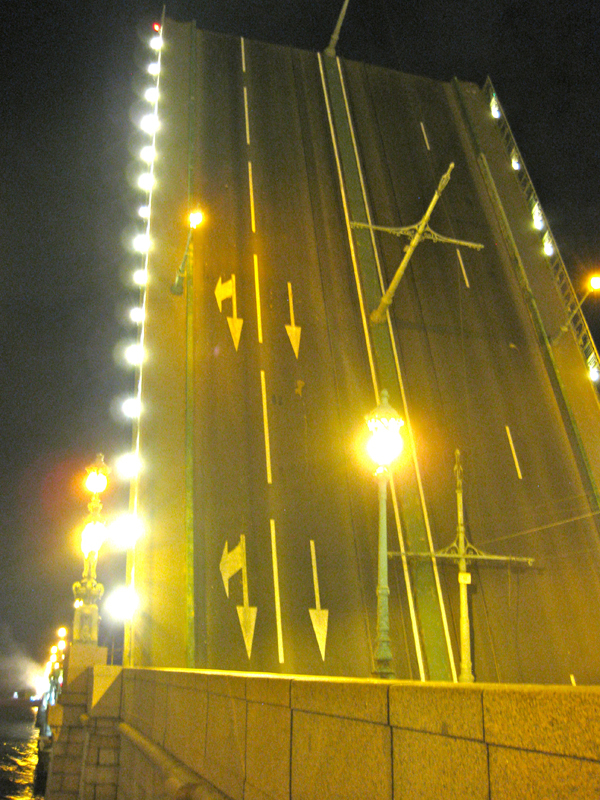 And before we went back to our hotel, we took a look at the open bridge, an iconic sight of St. Petersburg.